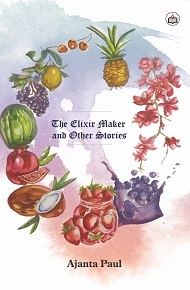 The Elixir Maker and Other Stories, her first work of fiction is a piquant cocktail of tales, at once pungent, bitter, sweet and tart that immediately appeals to the reader with its multiple tastes and flavours. It is a collection of stories that is both universal and timeless in its evocation of place and age and in the formidable scope of its imagination. Told with a narrative relish and a heartwarming sensitivity the tales in this collection stand out for their excellent characterization, vibrant sympathy and beautiful literary prose. Ajanta Paul is a brilliant academician, a visionary administrator and an accomplished writer with several published titles to her credit. She is, at present Professor of English and Principal at Women's Christian College, Kolkata.